April 19, 2017 - See a 3,500-year-old Egyptian tomb explored for the first time. 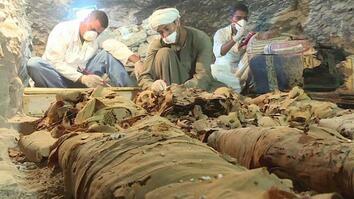 Egyptian archaeologists discovered mummies, sarcophagi, pottery, and over 1,000 funerary statues. The tomb was constructed during the 18th Dynasty, but some of the artifacts inside may date to the 21st. It belonged to an ancient Egyptian magistrate named Userhat, a member of Egypt's noble class. Egypt's minister of antiquities noted that the number of items found and their intact condition was significant. 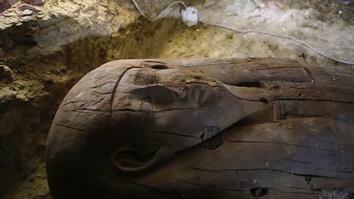 Click here to read more about the discovery of the 3,500-year-old tomb.